Saskia has always loved gardening and flowers and this passion only grew stronger as her life evolved and she started her own family. With her mother observing her from the sidelines and urging her to become independent, Saskia started growing plants and flowers and also worked for HRH Prince of Wales in Highgrove, while raising her children. 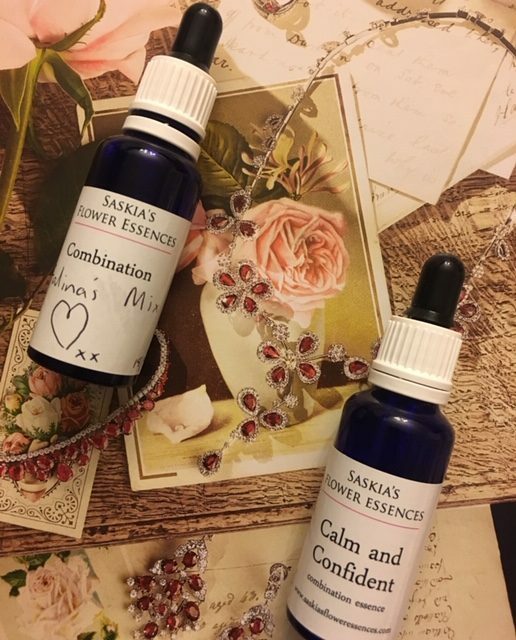 A friend who was a homeopath introduced Saskia to Bush Flower Remedies and in time Saskia, having faced her own internal set of issues and resolving them holistically, started working on formulating her own plant essences. 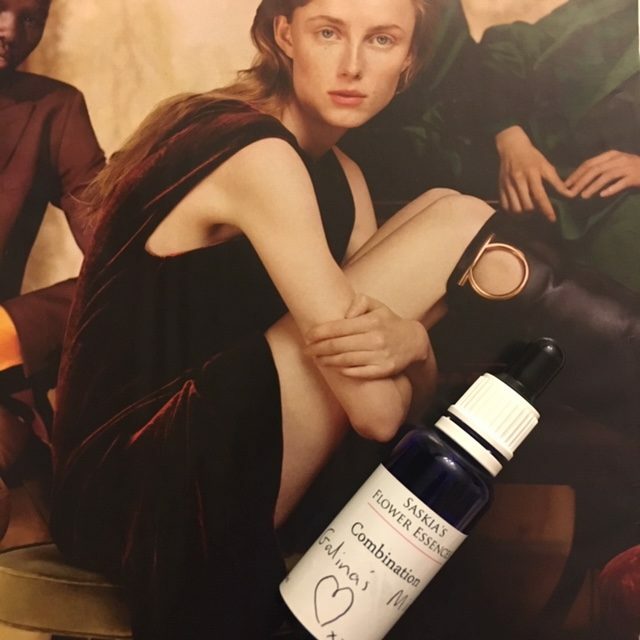 One of the things that sets her apart from other brands & practitioners in this particular field, is the fact that she uses the flowers in her essences that come from the wild (she only needs a dozen or so to make 10,000 bottles). The energy of the people that help bottle the essences is also important, as good vibes can only enhance the team spirit! 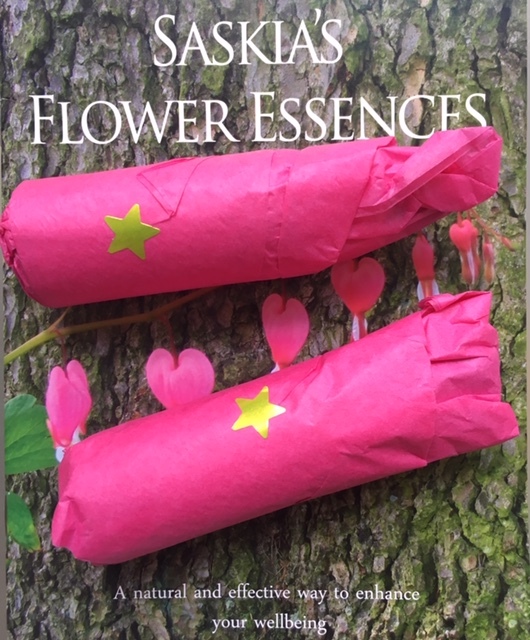 Saskia creates her essences using local spring water, organic alcohol and energy & vibration of the flowers and the sun. Some brands that harness the power of plants use brandy, but Saskia chose to use organic vodka because she considers it the cleanest spirit you can get for this particular purpose. Brandy can have the tannins from the oak barrels, plus organic vodka is more readily available in the UK. It’s also worth noting that the Essence Range is available in organic cider vinegar, if you are not keen on the alcohol base of the tincture. 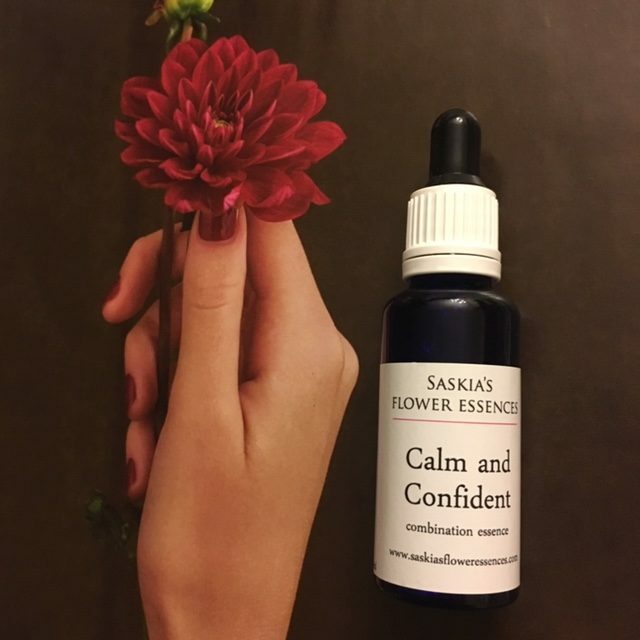 Each Essence (there are single or combination ones, plus custom essence combinations that Saskia makes individually) can be used straight from the bottle. Shake the bottle and then put seven drops directly under the tongue, preferably twice a day. If you fancy changing any long-term patterns, continue taking the essence for a few weeks, noting any changes. You can also give those essences to children and they can be added to water or juice, if you prefer. Sometimes people notice changes within days, others a few weeks after they stop taking the essence – as we are all unique, so are our responses to essences. It has to be said that to take plant essences, like using homeopathy, is not for everyone, but it’s always good to try something, before forming an opinion. After talking to Saskia and exchanging e-mails, I have sent her my photo and based on our conversation and my picture, Saskia created a personalised essence that was quickly dispatched to me. When it arrived and I read through the accompanying booklet, with * next to the seven essences that Saskia chose to combine for me, my jaw nearly dropped on the floor, as each one reflected the issues that I wanted to deal with or continued to ignore at my peril. Considering that our conversation was more focussed on me finding more about Saskia and her products, I was intrigued. She also very kindly enclosed one of her ‘Calm and Confident’ combinations to help my eldest get through intense exams, adding in the note ”such pressure on children these days -they need all the help they can get.” Something that I fully agree with and plan to put to good use shortly (note: it’s completely safe for children to take, but some parents or schools might not be comfortable with its alcohol content. If that is the case consider trying the one with organic cider vinegar base). 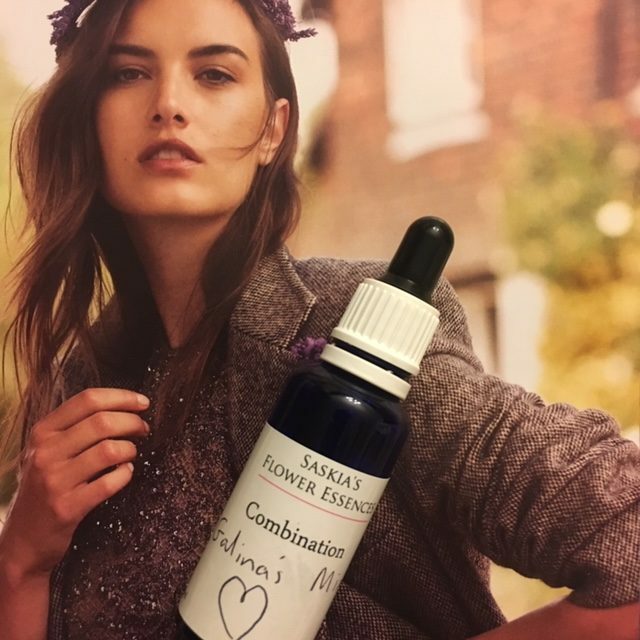 Normally you can choose up to five essences from Saskia’s single essence range and she will mix it up for you. Or, you can e-mail your photo and brief description of needs, in order for Saskia to dowse your personal combination, as was done in my case. And if you live in East Somerset or close by, Saskia is available for one-to-one consultations in the privacy of her home. When you finish a bottle you can take a break and then see, if you feel like another is needed. 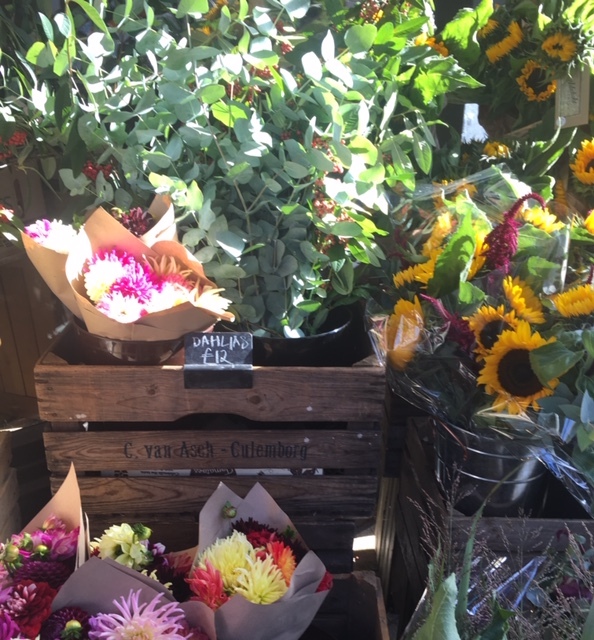 According to Saskia, you might need different flowers each time, as some do their work and are no longer needed, while others remain in the mix because you respond or gravitate to them. The whole process is ‘a bit like peeling an onion…we shift some issues and new ones arise’ according to Saskia. ‘Sometimes, for old set patterns, the same flowers come back to remind us how to change…it’s a fascinating, but very individual process…so completely different for everyone – which has its own frustrations for the more scientific among us’. Having been taking my essence for almost a month now (I have almost finished a 30ml bottle), I have to say that initially I didn’t notice any changes. Life continued at a fast pace, I didn’t feel any different or behave differently. At some stage I even Dm’d Saskia, asking her when will I feel any effect. Saskia was reassuring and just told me to observe things and be patient. Another week passed and then I noticed subtle shifts. I slowed down internally (yes, I got a cold and the slowing down was a smart thing to do, if I wanted to get over it quickly), but it was deeper then that. I got into doing yoga daily, even if for 15 minutes. I started smiling more, because I just felt like it. I analysed things, but not because I felt frustrated, but because I wanted to understand the other side of the argument better. I started drinking more tea, something that I haven’t done for months. I unfollowed some people on social media because it became clear that following them didn’t bring me any positive emotions or their accounts no longer resonated with me. I became more reflective and patient (well, at times – I am human and not perfect .). Some of the changes are small, some I can’t yet figure or describe coherently, but I am certain that I want to continue exploring the power of plants and see, if they continue to being conductive to change. Life is a journey, but it’s so much more intriguing, if we welcome change, not fear it. 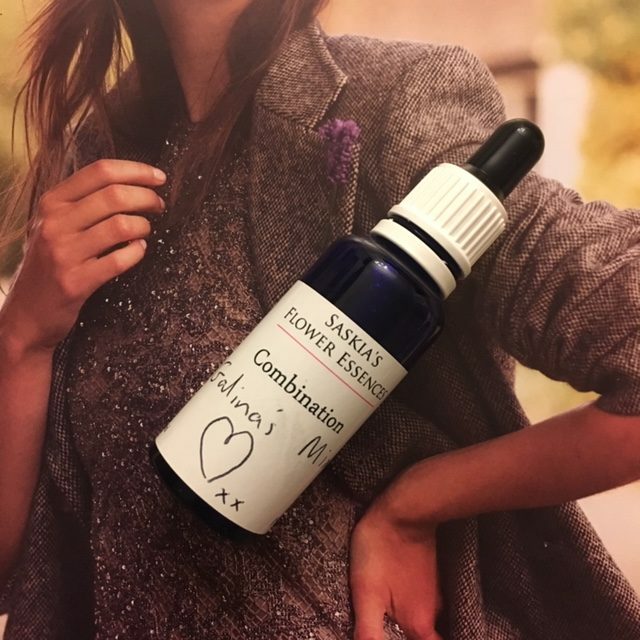 So, if like me, those essences will intrigue you and you decided to try them, do drop me a line, as I would be curious if they were conductive to any change in YOUR life.